I'm hoping the layout doesn't look crappy. Yeah, Rochus never gives up!! What you get in Green Beans these days. Long overdue on this post but wanted to get it out there. 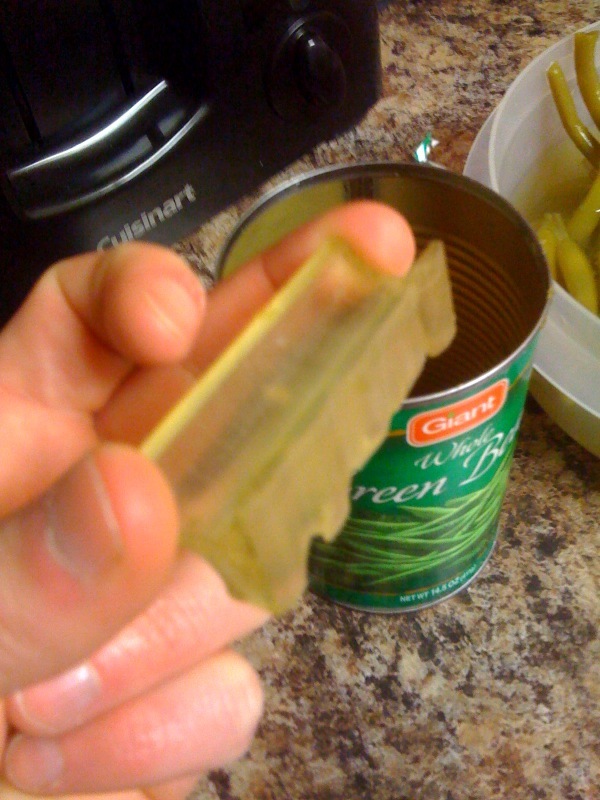 If you saw an earlier post, we found a chunk of plastic in our can of Green Beans. If you missed that post...well then continue reading. We purchased a couple of cans of Giant store brand Green Beans for Thanksgiving. When my wife opened up the container of one of those cans this came out! Needless to say we threw out that batch of green beans. 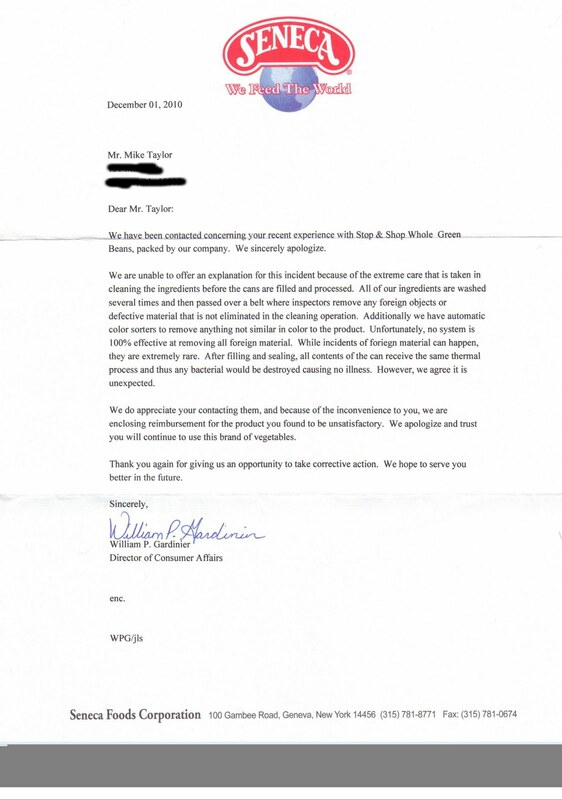 A couple of weeks later I contacted the distributor and they asked me to send over a picture. 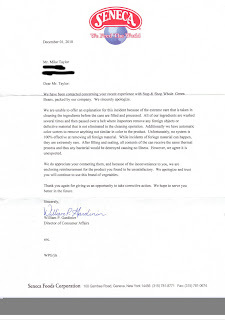 I did, and then they sent me the below letter, accompanied by a $10.00 check. I would like to know from Seneca what their conclusion was.